It's Mikha again ;) please don't get bored as every Monday I'm in charge for sharing new inspiration over Dies R Us Inspiratonal Blog. 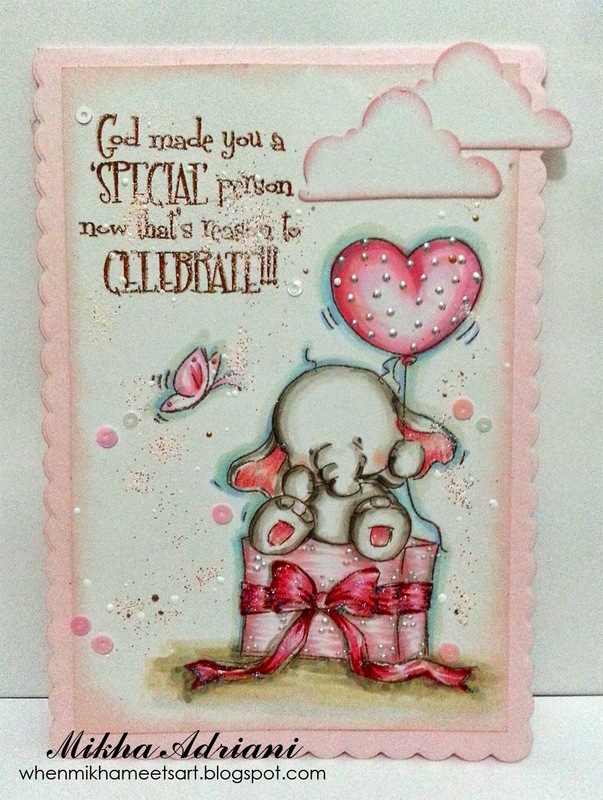 I just simply stamped it and coloured it with copics, then added frantage all over the card, stamped sentiment and put some sequins! Tadaaa, it's done! Don't forget to join our challenge HERE, and stay tune!! We're have surprise next month!